Converting Flights with Emirates to Avios - Why Bother? 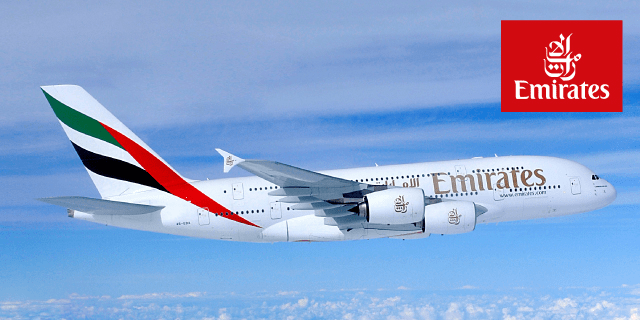 Converting Flights with Emirates to Avios – Why Bother? Whilst it’s been around for some time now, I thought I’d remind Avios collectors and BA Executive Club members that it’s possible to earn both Avios and Tier Points when travelling with Emirates. Now as Emirates is not in the Oneworld Alliance it’s not quite as easy as logging into your Skywards account and allocating the flights to your BA Executive Club account. As a result I thought it would be useful to provide this Emirates to Avios guide. 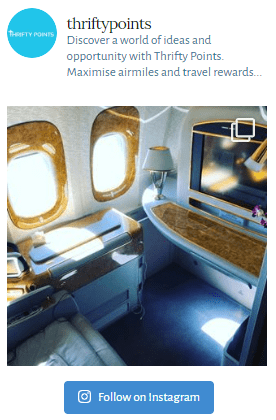 Why Use Emirates for Avios Collection? The Emirates loyalty programme, Emirates Skywards, isn’t renowned for providing best value to members, with generally low earnings rates and high redemption rates. An example of this would be the 125,000 miles required to redeem a return Emirates flight between London and Dubai. Alternatively, if you flew with Virgin you’d be able to redeem the same flight for just 75,000 miles! That said, if you’re not redeeming points but are instead paying with cash, the Business Class seat (reviewed here) and First-Class Suite (reviewed here) is head and shoulders above the likes of British Airways and Virgin and is usually competitively priced! 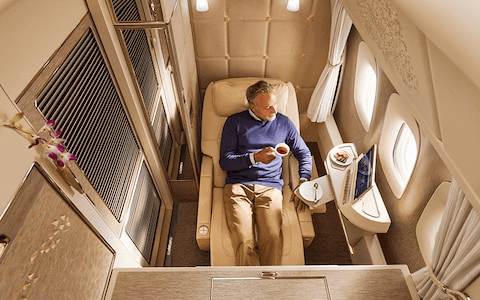 As such, being able to fly in the comfort of Emirates while having the flexibility of redeeming Emirates-earned Avios with British Airways can have its benefits. Some 5 or 6 years ago, Emirates and Qantas agreed a major tie-up allowing Emirates flights to now carry Qantas flight numbers. Both Qantas and British Airways are members of the oneworld alliance. Therefore as long as you book the flight under a Qantas flight number and not an Emirates flight number you’ll receive Avios and Tier Points when flying Emirates. The easiest way to make sure you’re booking onto a Qantas flight number is by booking through the Qantas website. Do however check pricing on both websites as it may be cheaper on Emirates and we’d hate for you to pay more! Can you convert Avios to Emirates? Unfortunately, there’s currently no way of using Avios with Emirates. As I recently covered in my Emirates Credit Card review, if you hold a significant proportion of your points as American Express Rewards points you can transfer these directly from Amex to Emirates. Rather than automatically converting points to Avios, it’s worth considering the 13 other Amex airline partners. There is one final method of redeeming Avios reward flights using miles earned while flying Emirates. I recently wrote an article about using Avios on Alaska Airlines and vice versa. As Emirates and Alaska Airlines are partners you can credit your Emirates flights to Alaska and then redeem for BA Avios flights. This however wouldn’t be my preferred option!